Kicking off a new bicycle network plan in Shymkent, Kazakhstan — Copenhagenize Design Co. 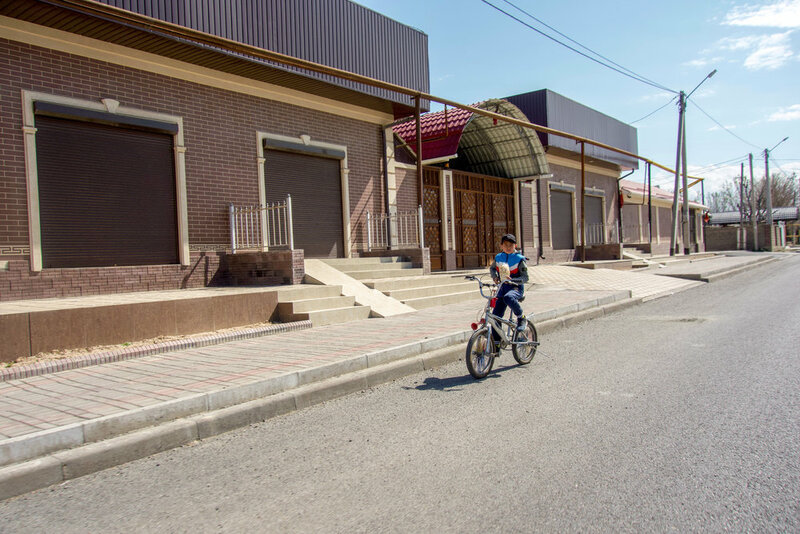 While some may associate cycling in Kazakhstan with the country’s Astana Pro Team, the southern city of Shymkent is working to facilitate cycling as an everyday mode of transportation. Less spandex, more casual. Last week, the Copenhagenize team visited Shymkent to kick off work on its forthcoming bicycle network strategy. Sitting in the country’s southern region, alongside the foothills of the Tien Shan mountain range, Shymkent benefits from a mild, dry climate. Building upon the success of the recent rollout of its bike share system, Shymkent Bike, the Mayor and his team wish to further unlock the potential for cycling in the city. This recent visit had the team thoroughly documenting street conditions, mapping out potential opportunities, and meeting with local bicycle users of all stripes. From wide car-congested boulevards, to leafy residential streets, to former rail lines, we saw plenty of potential to develop both on-street and off-street bicycle infrastructure. Upon visiting, we noticed a budding scene of cyclists. While the spandex crowd dominated along busy, outlying regional roads, children and adults out on their bikes dotted the city centre. We even spotted the odd citizen sporting a cargo bike to and from the bazaar. We look forward to seeing how the project develops to allow even more citizens to choose the bike as an everyday mode of transportation in Shymkent. Shymkent’s local bike share system, Shymkent Bike. A regular citizen in everyday clothes on a bike. Kids use the bicycle as an easy way to get around – even with snacks in hand. Some use the bicycle for sport, too. 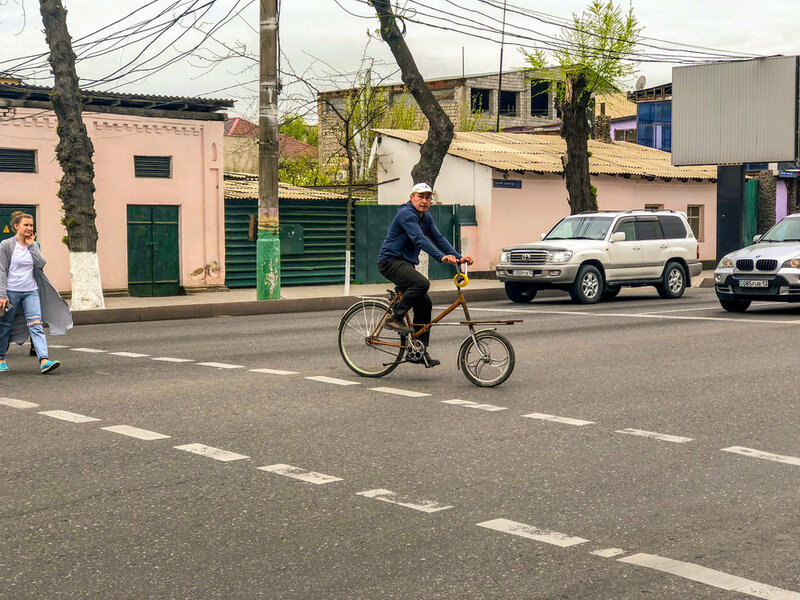 Spotted: A custom cargo bike in Shymkent.